I am still processing the Eurovision outcome and wondering why such a boring song won. In the meantime, look what I found. This is probably old news for many but there is actually an English version of the Serbian entry, “Caroban” by the spunky Nina. “Caroban” was actually one of my favourite songs this year. I would even place it in my top three after Sweden and Hungary. The 60s vibe struck a chord with me, I loved Nina’s look and I loved the psychedelic light show going on behind Nina and her backing singers even if it did make my eyes hurt. One thing I did appreciate and respect was that Nina had the balls to sing the song in her native language. That is one thing I miss about Eurovision. I really think that they should go back to the native language rule. One has to wonder if the disappointing position that the song came was because it was in Serbian. Surely Europeans are not that shallow? Anyway, doing some surfing tonight and I discovered that Nina did in fact record an English version and also recorded a music video for it. In English, the song is called “Magical” and magical it is. I hate to say it but maybe Nina would have scored higher if she had performed the English version. I guess we’ll never know and part of me is still glad that we got the Serbian version. Here’s the English clip. Enjoy the groove. Seeing as the Judge was sharing some ANZ bank ads, I thought I would share my favourite one too. I don’t know how the ANZ got the rights but this ad features the Robot from Lost In Space and a couple of Daleks from Doctor Who. Hilarious even though it does show the frustrations one gets when one gets put through to a call centre. I guess I should address the scandal first up – Sweden did not make it to the final. 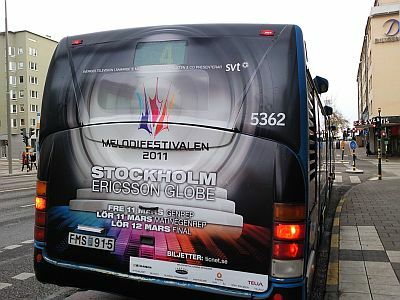 Sweden has always been one of the main countries in Eurovision so not to make it to the final is a big deal. I must say that I hate the way some Swedes have turned on Anna Bergendahl since they were the ones who voted her to represent them. It was quite heartbreaking to see the picture of Anna in tears plastered over the front page of Aftonbladet. But I’m not surprised that the song didn’t make it through. I have already written that “This Is My Life” was the wrong choice to represent Sweden. A nice but unremarkable ballad that just didn’t stand up against some of the other songs in contention. I think that one of the reasons that endeared Sweden to Anna’s song was Anna herself. 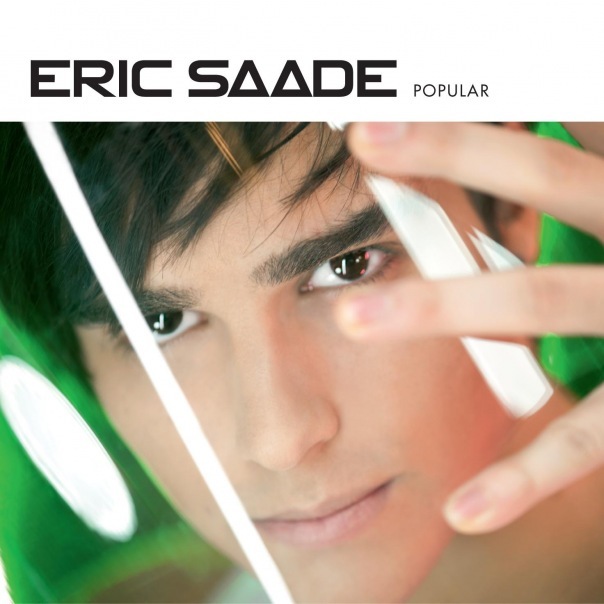 A happy, humble and energetic 18 year old who really did not expect to make the Melodifestivalen final let alone win it. On stage in Oslo, it was like a different person. Anna looked haggard, stressed and even older. She just did not connect with the European audiences. The guitar looked way too big for her and nothing more than a prop. It just did not come across as a genuine performance. I was feeling sorry for Anna. Worse songs than hers did get through but at the same time, hers was just not good enough. Strangely enough, there will still be a Swedish presence in the final. 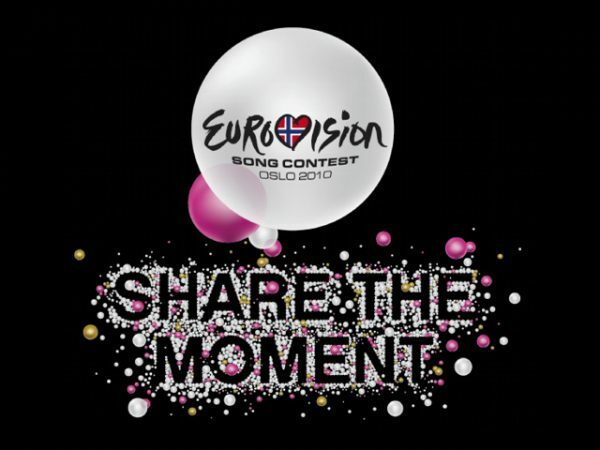 Swedish songwriters had written or co-written six of this year’s entries – Azerbaijan, Denmark, Norway, Ireland, Georgia and Sweden itself. Ironically, Sweden was the only one not to get through. Also, Belarus enlisted Swedish pianist, Robert Wells who is internationally renowned. Here’s predicting that Sweden will be giving Belarus 12 points. I am happy that my favourite from that particular night, Romania, did get through. Also, Turkey was refreshingly different and got through. I liked Denmark although it was a bit cookie cutter Eurovision. I liked Armenia and Israel too but didn’t think Azerbaijan was good enough to be considered favourite to win. I was disappointed that Bulgaria didn’t get through. For the second year in a row, they sent a great song that didn’t get through. What’s that about? This year they included some nice to watch oiled up backing dancers which didn influence my opinion at all. Okay, the Dutch entry was cheesy and corny and written by the inventor of the Smurfs but it was just pure, theatrical fun. Very catchy and I loved the street organ. While it may have done well in the Eurovision of the 60s or 70s, I can understand why it wouldn’t go down well with a modern audience. I enjoyed it anyway. I enjoyed the Slovenian entry of folk-influenced rock although it did seem to be several different songs in one. The female singer has a great voice. A special mention to Lithuania, not for the song (which I didn’t like) but the performance with the spangly shorts and the homage to Bucks Fizz.